Ford Galaxy Sunliner – Convertible version of the 1960s car named in response to the Space Race. 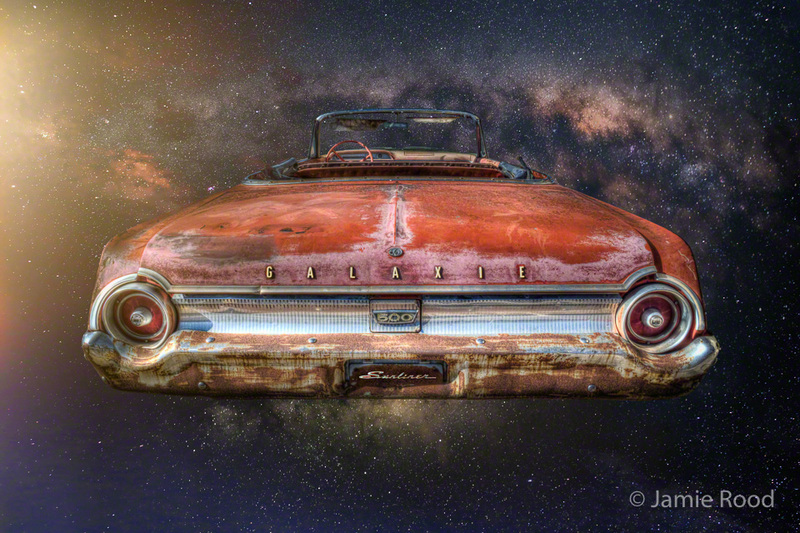 Depicted ‘cruising by a sun through outer space’. 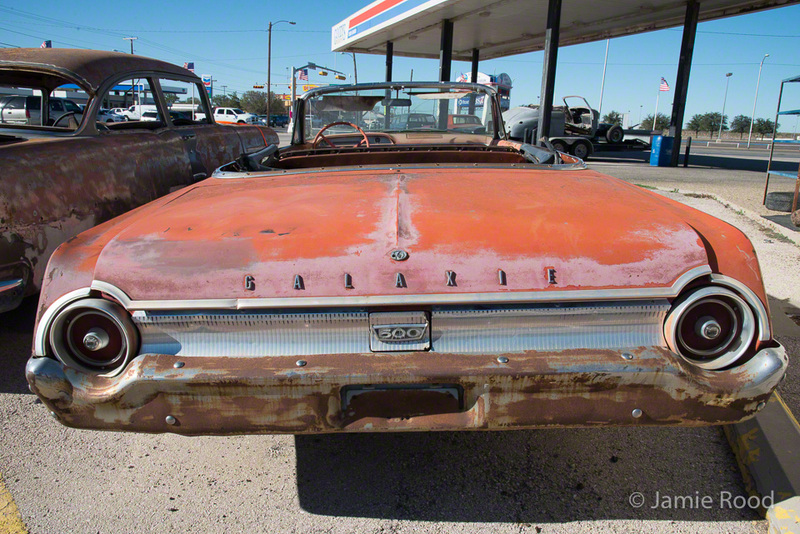 Photographed in Odessa, Texas in Fall of 2014 – across the street from Ector Colosseum. 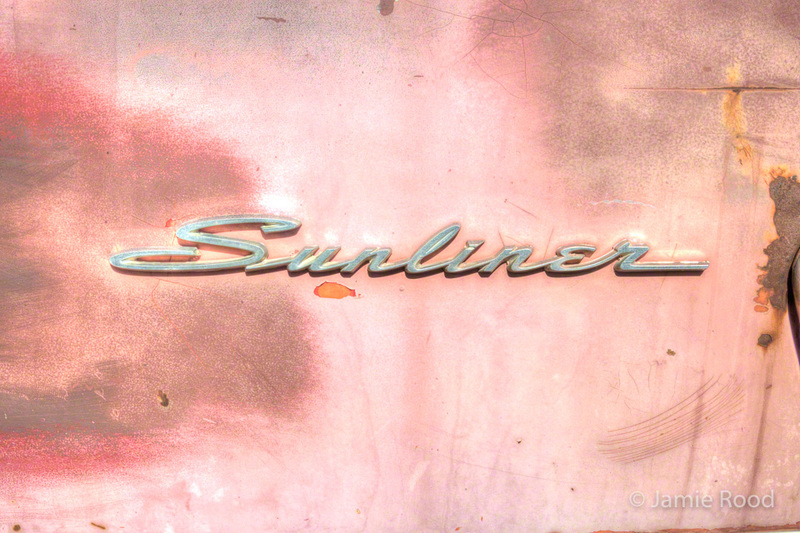 The Sunliner emblem was on the side – I moved it to the rear license plate. 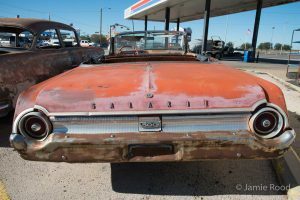 This entry was posted on Sunday, September 16th, 2018 at 10:13 pmand is filed under . You can follow any responses to this entry through the RSS 2.0 feed. You can leave a response, or trackback from your own site.